Double O Outfitters is operated on a number of farms located just outside of Jackson Ohio. The habitat is ideally suited for whitetail and turkey alike as it is a mix of agricultural, hardwoods, wetlands and sanctuary. This diversity leads to a burgeoning deer heard that is meticulously managed for trophy potential. We boast a 1:1 buck to doe ratio and have excellent genetics with multiple bucks ranging in the 180”-200” class. In addition to the true once in a lifetime bucks, we have many Pope and Young class deer harvested every year right here on our farms. Moreover, the stands you will be hunting across our 5 properties will have multiple trophy bucks showing. 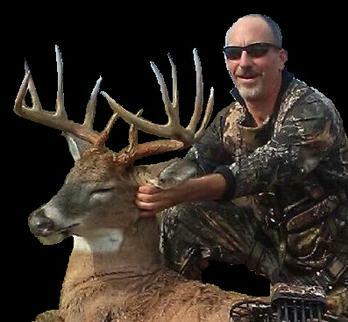 We will not seat a client in a location without a mature buck showing up during shooting hours ans will provide trail camera pictures ahead of your hunt so you are familiar with the bucks you are after. We maintain a 125” antler restriction which ensures our younger deer are given the opportunity to grow to their full trophy potential ensuring our future hunters have trophy class animals to harvest. Double O Outfitters maintains a year round mineral and feeding program that ensures our heard remains happy, healthy and well fed. We scout our properties prior to your arrival so we can get you in field and hunting in short order. We provide transportation to all stand locations which are equipped with safety lines ensuring a safe hunting experience. All you need to do is hone your skill before arriving in camp. We do require scent elimination measures on all hunts as we are an “archery only” outfit. 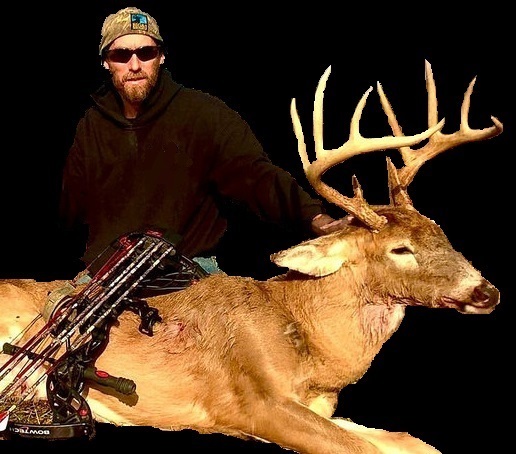 This requires us to get you close to your game and you need every advantage hunting an old weary buck. We do not hunt pre-rut as we feel the best time to be in the deer woods is during the Rut. These 4 to 5 magical weeks are what every hunter lives for and we do our best to put you in the right place at the right time. Our late season hunts can also be very productive as neighboring properties that gun hunt, pressure their deer into the sanctuary of our farm. We have had giant bucks show up on our property during this time period. We have a maximum of 3 hunters per week which keeps the pressure on our property very low, this helps to improve our hunter’s success rates as deer are not privy to a hunter’s presence. Lodging can be at a number of local hotels such as the Red Roof Inn which is located about 15 minutes from the property in Jackson, Ohio. Given that this is a fair chase hunt, we cannot guarantee every hunter will leave with a trophy. We will however do our best to ensure every hunter feels that they were given the best chance possible at harvesting a buck of a lifetime. As a hunter, we all know we can’t control the weather or what a wild animal will do; all we can do is hunt hard and roll with the punches that are thrown our way. With hard work and dedication, you can bring home something you will be proud to share with your family.